DOHA, Qatar — A conference in Qatar on human trafficking has urged Arab states to step up the fight against the scourge, seen as widespread in the oil-rich Gulf region. Delegates called for an agreement within the framework of the Arab League "to combat human trafficking in all its forms," according to a statement issued at the close of the conference late on Thursday. They urged the Riyadh-based secretariat of the Gulf Cooperation Council (GCC) to take the lead in boosting "coordination and cooperation among member states to enhance measures to fight human trafficking." The two-day conference was organised by Qatar and the United Nations Educational, Scientific and Cultural Organisation, with the participation of representatives of the United Nations Children's Fund, jurists and human rights organisations. Delegates called for "a network to exchange information and expertise on combating human trafficking under the supervision of the Arab League," and the inclusion in school and university curricula of material on fighting the phenomenon. Five of the six GCC member states -- Bahrain, Kuwait, Oman, Qatar and Saudi Arabia -- are on a US blacklist of countries trafficking in people. GCC countries, which also include the United Arab Emirates, are close allies of the United States. International human rights groups have also highlighted the problem of human trafficking in the Gulf area, which hosts more than 13 million expatriates, many of them unskilled and low-paid Asian workers vulnerable to abuse. The US State Department human trafficking report in 2006 upgraded the UAE from the "Tier 3" of worst offenders to "Tier 2 Watch List" comprising countries making "significant" efforts to deal with the problem. 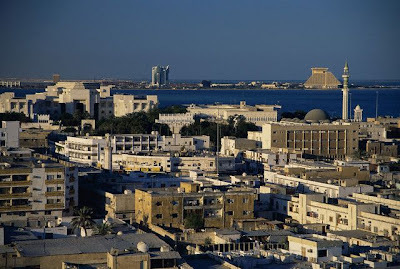 The UAE maintained its rank in the 2007 edition of the report, but Bahrain, Kuwait, Oman and Qatar were downgraded to Tier 3, joining oil powerhouse Saudi Arabia. Three other Arab countries -- Algeria, Sudan and Syria -- are on the list of worst offenders. WE WELCOME THE EFFORTS OF ALL THOSE WORKING TO FIGHT THIS SCOURGE!! KEEP UP THE GOOD WORK AND LET'S END HUMAN TRAFFICKING ONCE AND FOR ALL! Thank you for this, great job! it is very validating! The work and struggle is paying off!